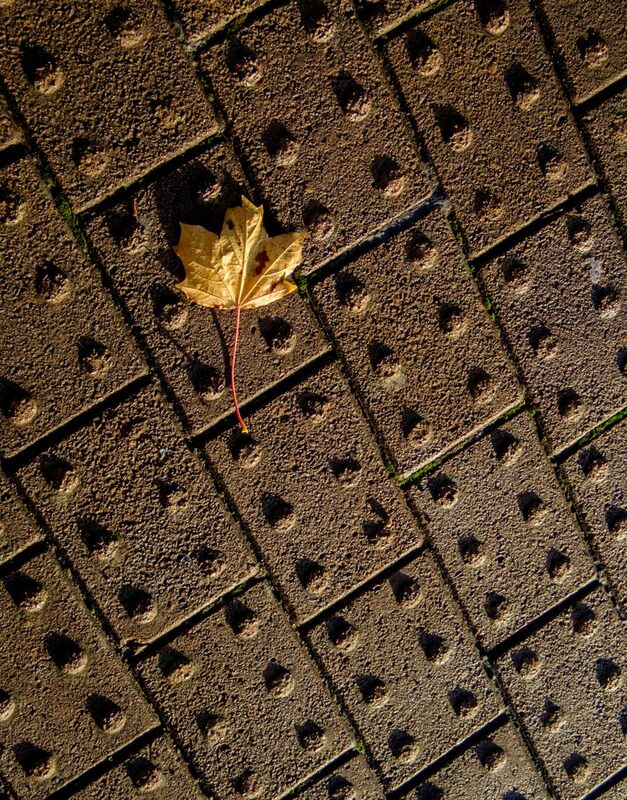 Autumn – low angle sunlight rakes across the textured pavement that alerts visually disabled people to a pedestrian crossing. There are earlier autumn posts here: 1 2 3 4 5 6 7 8 . Each will open in a separate window. The first image in the Outer Suburbs series, with context, is here: 1 . Subsequent images are here: 2 3 4 5 6 7 8 9 10 11 12 13 14 15 16 17 18 19 20 21 22 23 24 25 26 27 28 29 30 31 32 33 34 35 36 37 38 39 . Each will open in a separate window. Technique: TG-5 at 65mm (equiv); 640 ISO; Lightroom, using the Camera Vivid film simulation; south Bristol; 13 Nov 2018. VERY HAPPY TO HAVE OPENED UP A NEW AREA OF SMILES FOR YOU!!!!!!!!! And now every time I see Lego, I shall think of you …. 😉 …..
You did turn this one, didn’t you? 🙂 The light and patterns are wonderful. Interesting texture and great light! There are subjects to be found everywhere…and you are so good at seeing them.